I’ve come to this page a few times, stared at the screen for a while and left again, not knowing what to say, but now I feel I must check in even if it’s just to say hello and I’m still here! What I saw in Spain was absolutely stunning. I had a great time and saw lovely things and loved the Autumn sunshine. I think it all needs to settle in my mind before I start to paint what I saw. But in the meantime, I’ve been equally impressed by Autumn fruits and berries this year. They are so beautiful and colourful and round and juicy looking, just a huge pleasure to paint in watercolour. 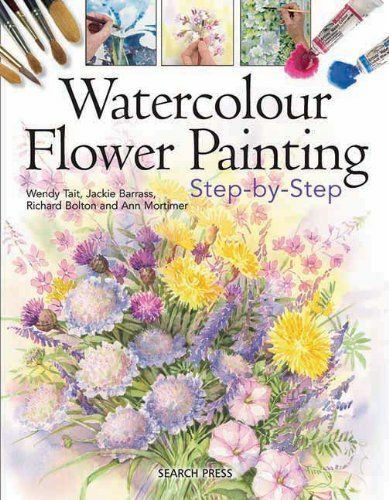 It just makes me so happy to know that as the seasons come around year after year there will always be gorgeous things to admire and paint in the hedgerows and in the garden. I’ve finished my classes and all but one workshop/demo for the year. Now my thoughts must go to the book I’m preparing for Search Press. 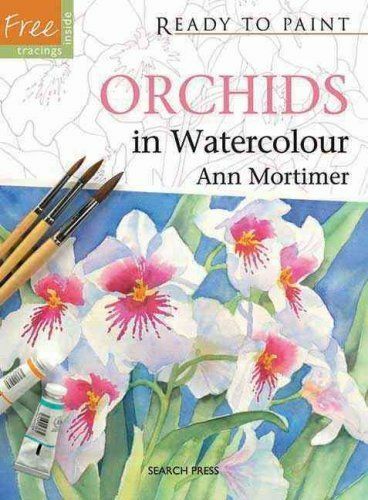 It’s about painting orchids, so those are the flowers that will be filling my mind for a while. 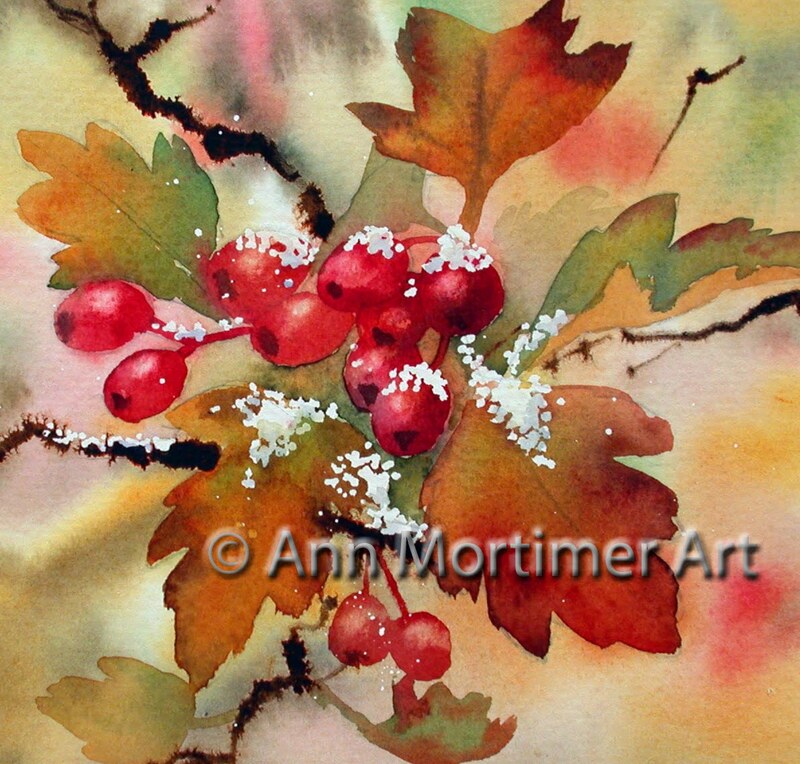 I’ll leave you with a little watercolour of my favourite Autumn subject this year, hawthorn berries. Lovely painting, Ann. I love all the autumn colors too. All the leaves changing and pretty berries, and the way the sun hits them at this time of year. It would be wonderful to see some of your pics from Spain! Good luck with your book! 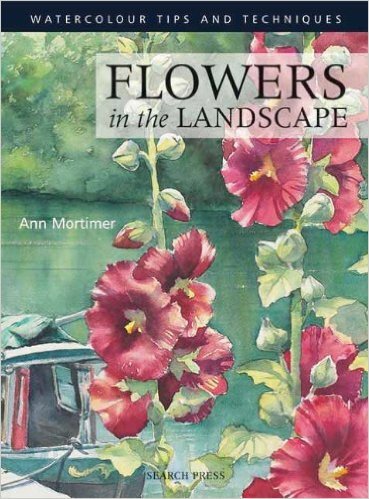 Hi Jo-Ann…thanks for calling by and your nice words! 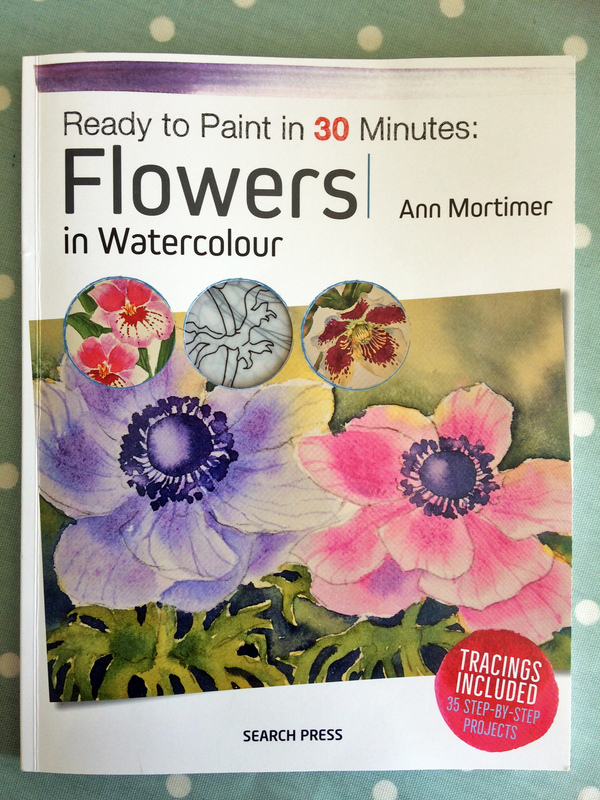 What a lovely painting Ann! How did you do the white, leaving the white paper, gouache? Jane, I used masking fluid right at the start to preserve the snow. Next Next post: Orchids ‘R’ Us…Getting down to work on the new book.